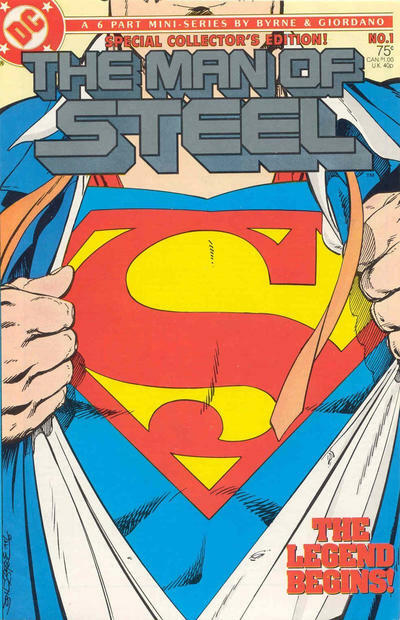 In 1986, the last son of Krypton underwent some serious character and mythological renovations thanks to comic book legend John Byrne and his Man of Steel mini series. Gone was all the hokey silliness and convoluted continuity that had bogged down the Man of Steel, and in was the new, freshly made-over boy scout from Kansas. 32 years later, Brian Michael Bendis is making his big debut at DC Comics in a similar fashion, attempting to putting his stamp on Superman with a Man of Steel mini series of his own. Before Bendis’ run officially hits comic shelves, we take a look back at one of the most celebrated and influential eras of Superman in the comics.